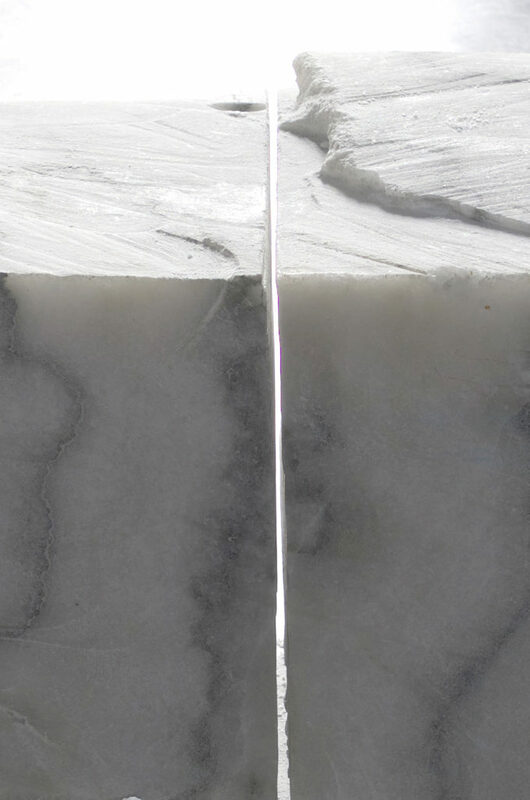 The primary materials Sedlerova works with are geological sediments and degradable manmade materials. Through the process of degradation, the most interesting forms of the materials and forms appear. 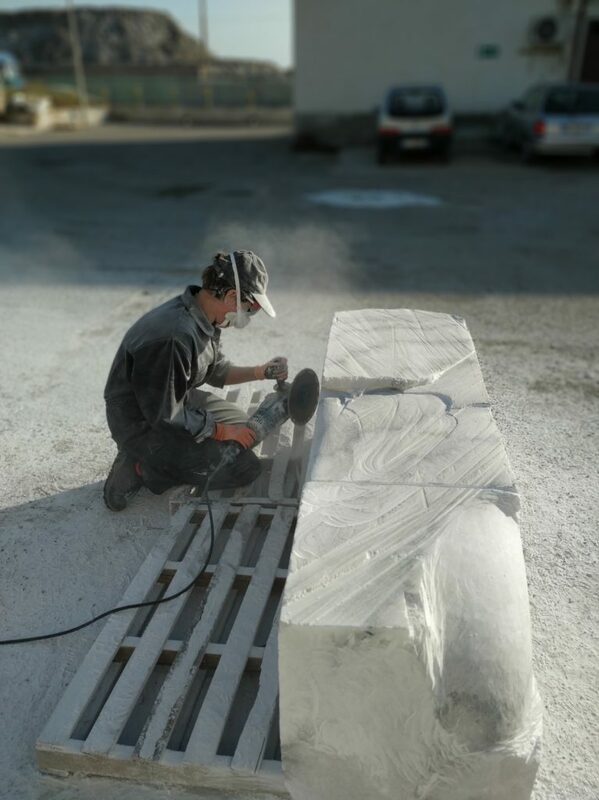 The material itself often determines the form of the work. To the Young Artists exhibition at Kunsthalle Helsinki, Sedlerova brings Participant. The work is a form that represents an unfinished human, a foreign body – unidentified, without class, gender, age or nationality. 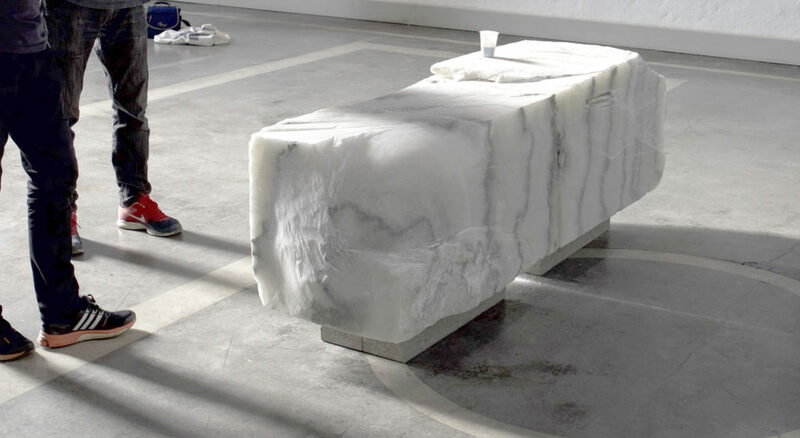 The material is Sicilian natural salt, formed about 6 million years ago. The salt holds the fragility of being subject to its environment, dissolving under the forces of nature or being preserved in a sheltered space. Sedlerova has used the perishability of salt previously in the sculpture don’t look back from 2018, as part of the Helsinki Festival. Two salt monoliths were placed on the beach at Eiranranta to vanish into the Baltic Sea during the autumn storms. Kristina Sedlerova, Participant (rehearsal jack). 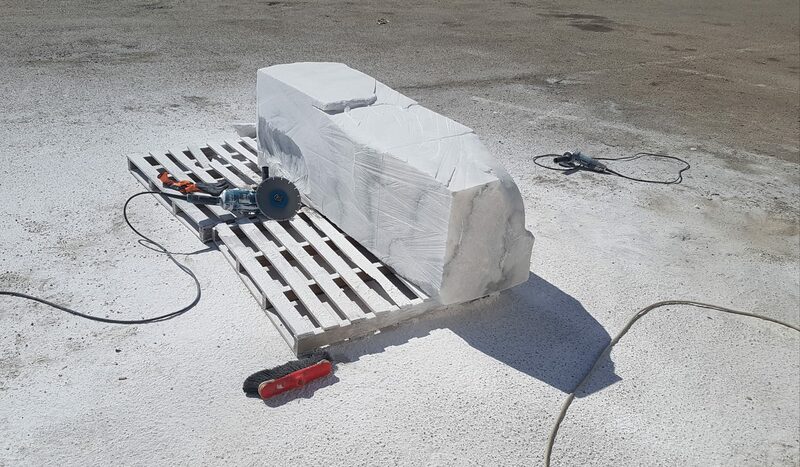 50 cm x 51 cm x 186 cm, 1300 kg, natural salt, plastic cup, coffee, table knife, 2019. Photograph by Kristina Sedlerova. Kristina Sedlerova, Participant (rehearsal jack). 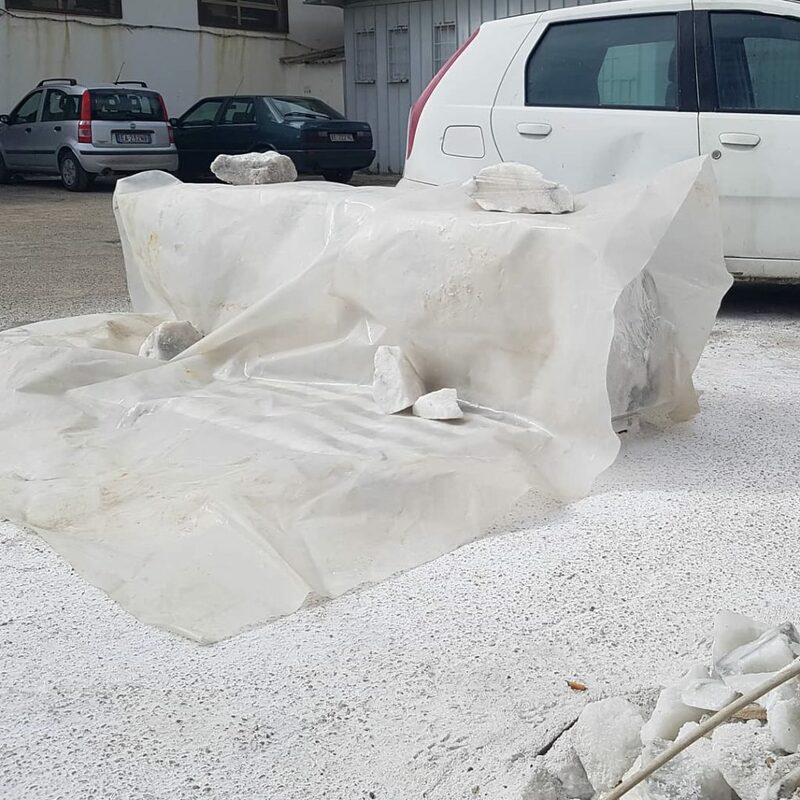 50 cm x 51 cm x 186 cm, 1300 kg, natural salt, plastic cup, coffee, table knife, 2019 . Photograph by Kristina Sedlerova. Sedlerova completed her master’s degree in scenography at Aalto University in 2015 as well as a master’s in fine arts at the Finnish Academy of Fine Arts in 2016. At the moment, she is working as an artist-in-residence at the Van Eyck in Maastricht. This year marks the 80th anniversary of the Young Artists exhibition, which had its debut at Kunsthalle Helsinki in 1939. 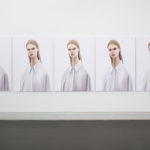 Young Artists 2019 exhibition is co-produced by the Artists’ Association of Finland and Kunsthalle Helsinki and it is based on an open call, with a shortlist of 25 artists and one artist group selected for the show out of a total of 500 applications. The four-member jury chaired by artist Jaana Kokko consisted of Kunsthalle Senior Curator Kiira Miesmaa and student representatives Aleksandra Kiskonen from Helsinki’s Academy of Fine Arts and Miia Varis from the Turku Arts Academy. Around Journal presents a series of interviews of some of the artists exhibited at Kunsthalle. 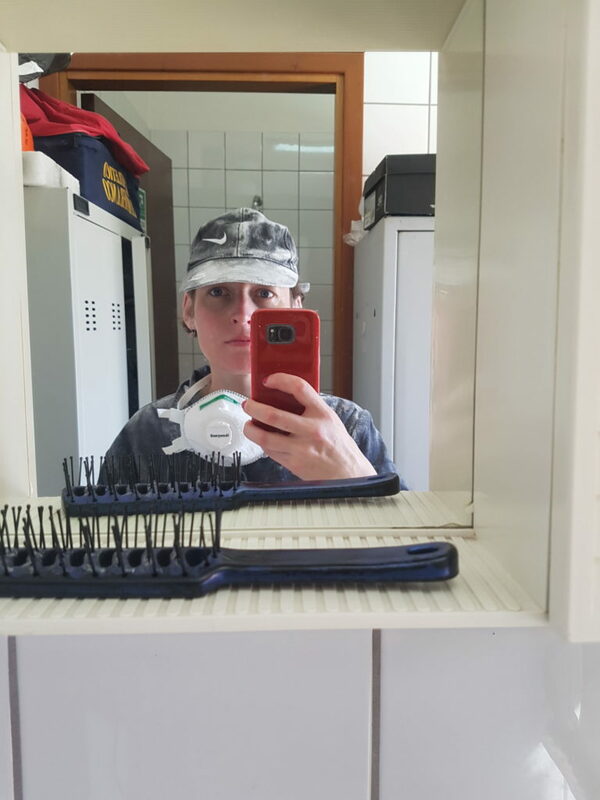 Previous interview of visual artist Astrid Strömberg here.